Avanē teyvam / [el̲utiyavar] Mayilvākan̲an̲. Cen̲n̲ai : Kumaravēl Piracuram, . From the University of Chicago Library. 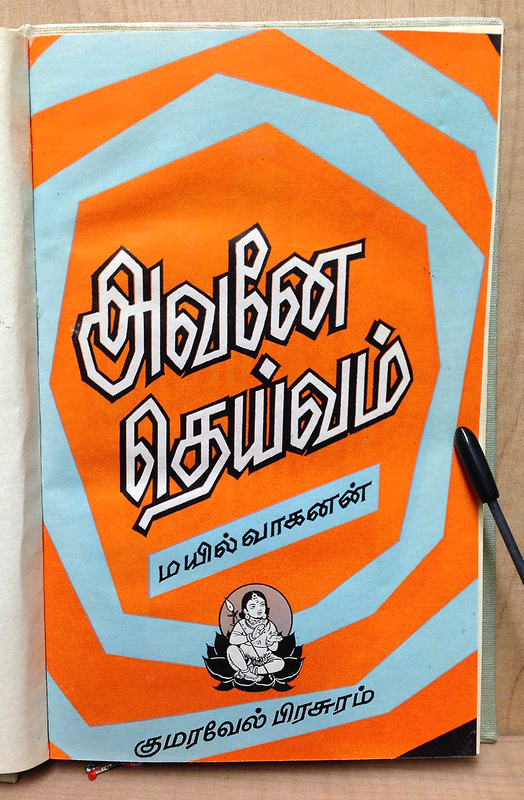 Some fantastic outlined, angular lettering on this Tamil booklet with bright, fluorescent colors! Can’t believe the inks have lasted this long!